The Abbey of Santa Maria de Alcobaça was one of the most important Cistercian houses in Europe. 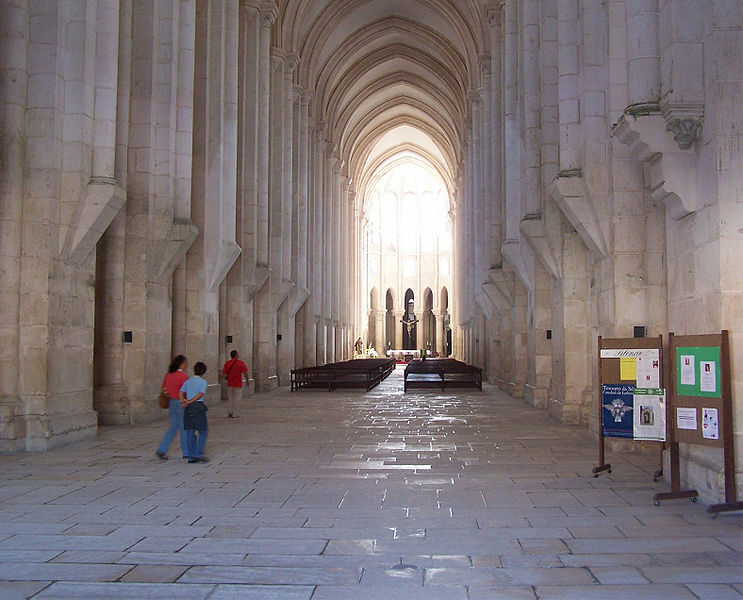 Founded in 1153 by the first Portuguese king, D. Afonso Henriques, the abbey's origins are enshrouded in the mystery and legend that enfolds the donation of its vast territory to Bernard of Clairvaux and the Cistercian Order. Isolated and abundant in water resources and fertile ground, this was the perfect location to settle a community that followed St. Bernard's rigid self-abnegation principles. The monument's construction began in 1178 and lasted for several centuries. Its history, strongly tied to the existence of Portugal, reflects the nation's golden periods. 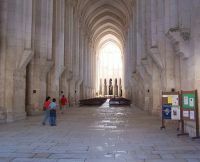 Building started with the gothic church, which would become the largest of its kind in Portugal, and proceeded with the other monastic structures typical in Cistercian abbeys, with the architectonic plans following as close as possible Clairvaux's model. In the XIVth century, the Monastery's church receives the majestic tombs of D. Pedro I and D. Inês de Castro, Portuguese History's most renowned romantic pair. During the baroque period, other artistic jewels are erected, such as the magnificent reliquary and the emotive sculptural group representing St. Bernard's death. The centuries have bestowed Alcobaça a precious architectural assembly, one of the Seven Wonders of Portugal and UNESCO's World Heritage.